Offering you a complete choice of products which include non-contact type tachometer calibrator and contact - non contact type digital tachometer calibrator. We are engaged in offering a wide array of Non-Contact Type Tachometer Calibrator. This is an instrument measuring the rotation speed of a shaft or disk, as in a motor or other machine. The device usually displays the revolutions per minute (RPM) on a calibrated analog dial, but digital displays are increasingly common. These are used to test the speed of rotation mostly in hospital and pathological labs and other electrical and mechanical industries. Moreover, sophisticated machinery is used in the precision engineered equipment. It is provided at very cost effective prices and is completed on time. Tachometer Calibrator is useful in calibration of Rotational speed(RPM) meters. 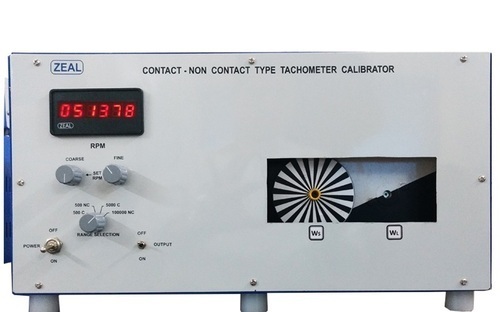 This is an ideal tool for calibration of contact non-Contact Type Tachometer. 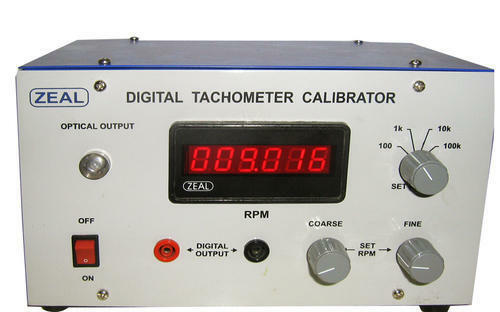 Looking for “Digital Tachometer Calibrator”?